The MINI Cooper S is a fun-to-drive subcompact car with sharp steering and excellent body control. If you want to enjoy driving it around Annapolis, Highland Beach, and Hillsmere Shores for a long time, you’ll need to keep up with routine maintenance. In this MINI Cooper S maintenance schedule, we’ll tell you what kind of work your car needs to stay in tip-top shape. Read through this informative guide, and contact us at MINI of Annapolis if you have any questions. Every 10,000 miles is when the engine oil and oil filter will get changed. After 20,000 miles, the cabin microfilter will be replaced. The 40,000-mile check is when the intake air filter will get replaced. After your vehicle reaches 60,000 miles, the spark plugs will have to be replaced. While the above talks about general maintenance items, you’ll find more specific ones in the MINI Maintenance System. This system works alongside Condition Based Service (CBS) to determine what service is needed at a given time. Sensors and special algorithms take into account the driving conditions of the MINI Cooper S. CBS will then uses these factors to calculate when maintenance is needed and will display a message on the vehicle. Check operation of horn, headlight flasher, and hazard warning flashers. Check instrument and control lighting, and heater/air conditioning blower. Check lighting system: turn signals, back up, license plate, interior (including map and reading lights), glovebox, and luggage area lights. Tires, including spare in MINI Cooper: Check tread depth, wear pattern, outer condition, and inflation pressure. If necessary, correct pressure. Battery: Check state of charge (magic eye), and charge if required. Visually inspect all SRS airbag units for torn covers, obvious damage, or attachment of stickers. Convertible: Open the convertible top. Activate automatic rollover protection system manually. Windshield washer and intensive cleaning systems: Check protection level, fluid level; top off if necessary. 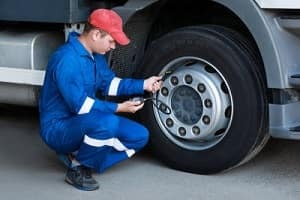 Brake system connections and lines: Check for leaks, damage, and correct positioning. Underbody, including all visible parts (i.e., transmission, rear axle, fuel lines, and exhaust system): Check for damage, leaks, and corrosion. Steering components: Check for clearance, damage, and wear. By doing all these checks at regular intervals, your MINI Cooper S will continue to run well for many years and miles. If maintenance is needed for your MINI Cooper S, then you’ll want to get it done as soon as possible. So, if you live near Annapolis, Highland Beach, or Hillsmere Shores, don’t wait. 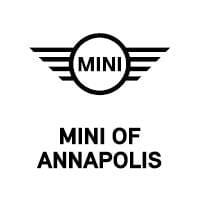 Schedule service at MINI of Annapolis today!